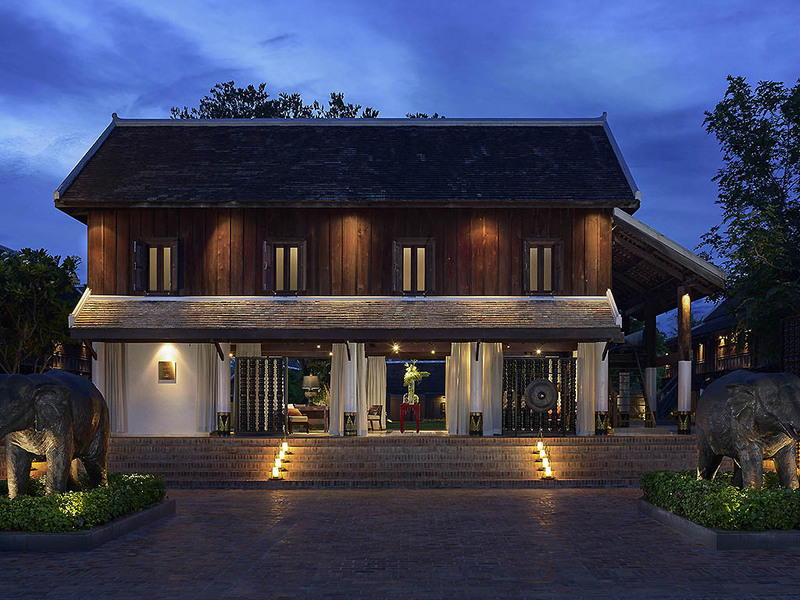 Sofitel Luang Prabang, originally built as a French Governor's residence in 1900s, located in a quiet residential quarter and protected as a UNESCO World Heritage Site. The luxury all-suites hotel offers 25 suites with five-meter-high ceiling, private garden and a pool or gazebo with oversized bathtub. Guests are invited to discover the warm hospitality of Laos and French 'Art de Recevoir' in an enchanting setting with botanical garden, amethyst-tiled pool and a tented restaurant. Lao cooking classes. Prepare a 4-course meal with our talented chef. Private garden in all suites with outdoor bathtub or pool. Enjoy all day drinks and evening free flow with MyResorts program. Each clay-roofed suite is a shrine to wellbeing with towering ceilings and elegantly crafted furnishings. Contemplate misty Lao skies from a private garden, oversized outdoor bathtub or private pool. Gourmet cuisine reaches new heights in the skillful hands of our world-class chefs who prepare sensational dishes worthy of this superb verdant setting. Enjoy local buffalo meat specialties, cooked to perfection on the grill, and decadent patisseries. Borrow a book from an extensive library and snuggle up by the fireplace with a glass of vintage wine. Or sink into a wicker armchair with a tall refreshing cocktail and some tempting snacks in the garden as the sun fades into the misty horizon.